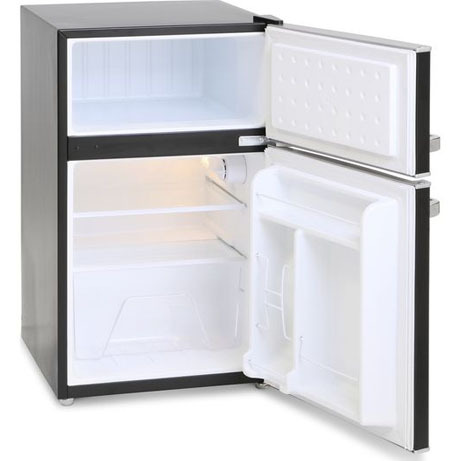 This Montpellier Retro Fridge Freezer is perfect if you want the retro look but don’t have the space, This under counter design means it will fit into most kitchens bringing a modern yet retro look. 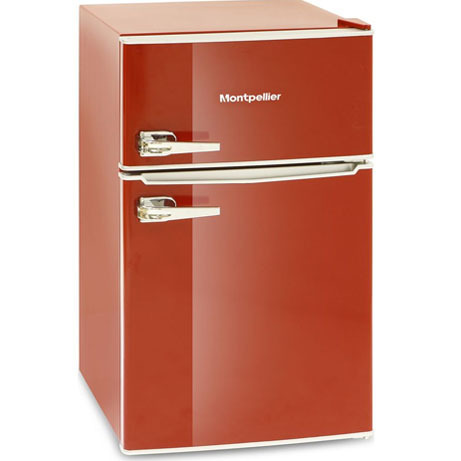 It features a 1950’s sleek and stylish handle and is available in three great colours Cream, Red and Black. This little retro truly is the perfect balance of function and style. Take your old one away? 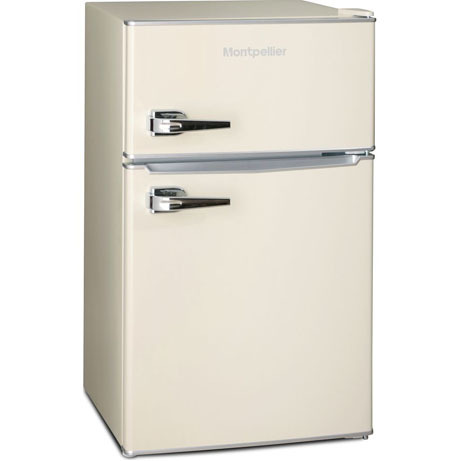 The 1950’s style of this Montpellier Undercounter Fridge Freezer brings a retro feel to any kitchen. The interior of the fridge is modern as well, thanks to stylish glass shelving. The two tempered glass shelves give you plenty of space for your daily essentials. This under-counter model is ideal if you don’t have space for a full size retro refrigerator in your kitchen. 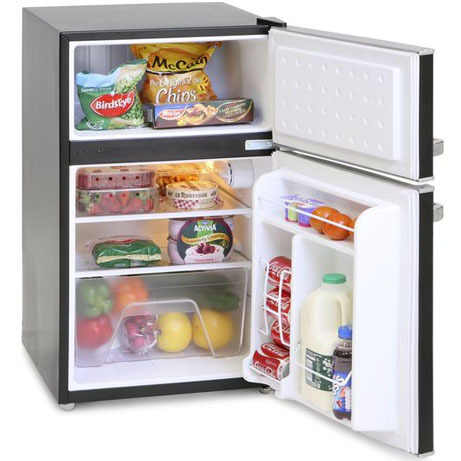 Store all your daily essentials in this stylish, compact fridge freezer without compromising on design. 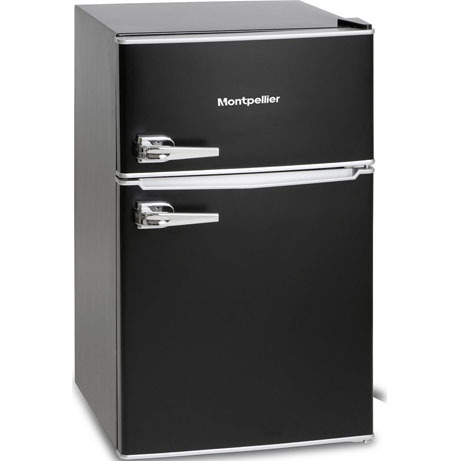 The fridge door features a convenient compartment for holding cans with racking to help to prevent cans from falling out of your fridge when the door is opened and closed. The integrated lighting illuminates the entirity of the fridge compartment for quick and easy access of goods. With a built-in thermostatic control this gives you the ability to set the temperature exactly how you want it. With five settings to choose from, you can lower the temperature to quickly cool new groceries, then increase it for ideal every day cooling conditions.